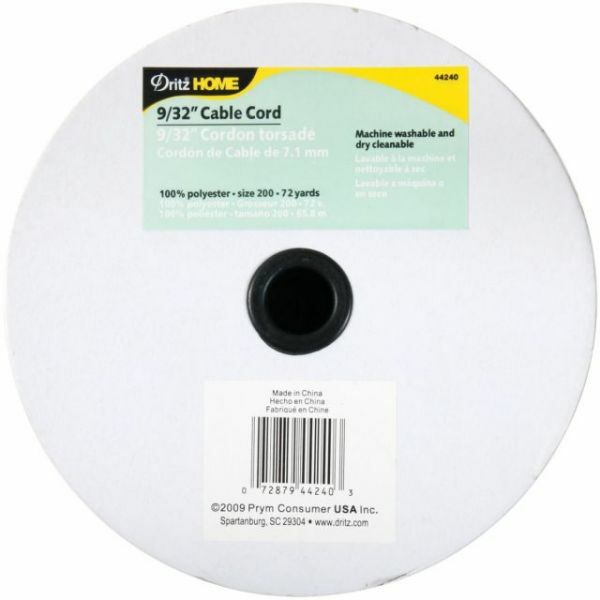 Cable Cord 9/32"X72yd - DRITZ-Cable Cord. This cording can be used in upholstery, home decor, sportswear, outdoor gear, and more. This package contains 72yd/65.8m of 9/32in/7.1mm 100% polyester white cable cord. Care: Machine washable and dry cleanable. Imported.